The alfa romeo international dx group is an international 11 meter ssb dx group. Promoting peace and understanding throughout the world breaking down all barriers between nations via ssb communications. Thames Estuary DX Group based in SE England. Mods, links and radio contests throughout the year. The Thracian Rose Club has been created in the Roses' City Kazanlak (Bulgaria) in 1993. Its main goal is to promote contacts within the radio community members (HAM, CB and SWL). The only existing 11 meter club located in the state of West Virginia. Offers great radio, antenna, and general radio information. Radio group with members all over the world.The group offers free membership including use of the groups PO Box and quality QSL cards. New French MU website with many DX News , Logs , Softwares and more. ASA international DX-group! Enjoy the pages! The ECHO-ECHO group is an International Radio Club of 11 meter operators. The Group was founded on spring 1989 in Warszawa, the capital of Poland, to study propagation and to promote friendly and brotherly relations among radio operators in the world. 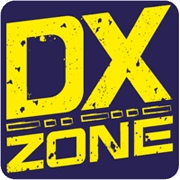 UK CB radio forum for the Charlie Tango DX group, 11 Meter international DX group. ACDX Alfa Charly DX Group - Alfa Charly DX Group, ACDX, International DX-Group, 11-Meter, 27 Mhz, 19 division. Alfa Romeo DX Group - The alfa romeo international dx group is an international 11 meter ssb dx group. Promoting peace and understanding throughout the world breaking down all barriers between nations via ssb communications. Azteca DX Radio Group - The Alpha-Delta group is a group dedicated 100% to DX Oncemetros in the band and can say that is 100% of Mexican origin. Bendigo Sideband Radio Club Inc. - The BSB Radio Club Inc has been in Bendigo since 1977 that is 34 years continual operating as a CB Radio Club. Bravo Golf DX Group - French radio forum for the Bravo Golf DX Group, 11 Meter international DX group. Charlie Tango DX Group - UK CB radio forum for the Charlie Tango DX group, 11 Meter international DX group. Delta Charlie Dx Group - Fast growing friendly dx group. Echo Alpha Int. DX Group - Radio group with members all over the world.The group offers free membership including use of the groups PO Box and quality QSL cards. Echo-Echo DX Group - The ECHO-ECHO group is an International Radio Club of 11 meter operators. The Group was founded on spring 1989 in Warszawa, the capital of Poland, to study propagation and to promote friendly and brotherly relations among radio operators in the world. European CB Federation - The ECBF is the organization from all cb's in the Europe. F.I.R. CB Veneto - Comitato Regionale Veneto della Federazione Italiana CB - Servizio Emergenza Radio. FAT Alsace - Florida Alfa Tango d'Alsace. Foxtrot Lima - Foxtrot lima is international 11 meter dx group from Finland. India Whisky DX Group - C B Radio & the India Whisky DX Group on the Isle of Wight. A small Island on the south coast of England. IRC's Home site - Information of IRC DX group DX informations propagation and may other informations about dx and internet. MAC International DX Group - Pagina oficial de MAC International DX Group. Activaciones, Noticias, Iota, Links, etc. Maik Uniform France - New French MU website with many DX News , Logs , Softwares and more. Maik Uniform U.K - Maik Uniform International DX Group for the U.K. with news and general information about the Maik Uniform International DX Group. November Echo International D.X. Group. - 11 metres d.x. group northeast england. Oscar Radio DX Group - The official site of the french radio group Oscar Radio, International DX group. Portugal Radio CB - Dedicated to CB radio promotion in Portugal. Radio Club 3 de abril - Comunidad dedicada a la radiocomnicacion 11 mts. de Mexico D.f. Radio Club El Progreso - CB radio club in El Progreso, Yoro, Honduras. Radio Scanner Citizen's Band DX Group - RadioScanner (Radio Sierra) russian citizens band radio club. Most operators are from CIS countries in Europe and Asia. Romeo International - This new french DX group has transfered his board in Brittany region. IOTA, DIFM et DXCC activities are our modo ! Romeo Papa DX Group - Website of RP DX GROUP. Group was found in 1992 in Pulawy, Poland. RSN International DX Group - RSN International DX Group, free and relatively big club for all DX'ers! Sierra Alfa - Italian official club Sierra Alfa DX. The Mountain Thunder Radio Group - Mountain Thunder CB Radio Group is a group of CB SSB operators that started in the Pacific Northwest, Washington State. Thracian Rose Club - The Thracian Rose Club has been created in the Roses' City Kazanlak (Bulgaria) in 1993. Its main goal is to promote contacts within the radio community members (HAM, CB and SWL). TI�RHU Radio Club Heredia Costa Rica - TI�RHU Radio Club Heredia Costa Rica with ROMEO HOTEL, DX group.